The OpenStock module has been redesigned and rebuilt for OpenCart 2.0. Use OpenStock to create individual prices and stock levels for each of your product variations, instead of having to list each variation as a separate product. 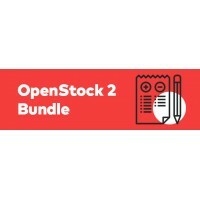 If your products are available in multiple variations, OpenStock is a must-have modules for your OpenCart store. OpenStock allows you to see which variations of your products you sell the most and helps you to manage your stock levels more efficiently. Managing product options is easy with the user-friendly administrator are - simply select a product or enter a stock value and SKU code. 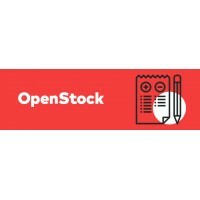 OpenStock gives you individual control over features each variant; active or inactive, subtract stock, SKU code and stock level. Stock control can be performed on select, radio or image choice, making it ideal for clothing stores who offer size and colour options. If you are using a custom theme, you may have to modify the XML files to match your theme's code. Our developers can do this for you for an additional fee - please see our OpenStock theme patching service. Please let our team know if you are using the Journal theme on your OpenCart store. As Journal changes how the options in OpenCart work, our team have to perform extra work to ensure that OpenStock functions correctly.